Statistics show that people with disabilities of working age are more likely to live below the poverty line than those without disabilities. The clearest factor in the income disparities between those with disabilities and those without is the component of social assistance. 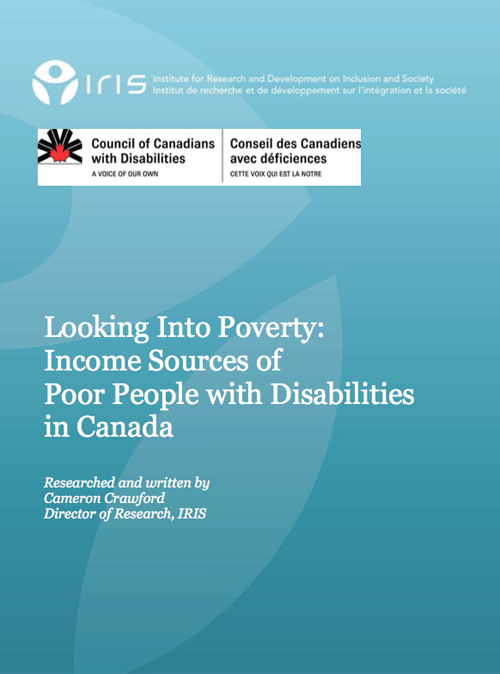 This report provides a statistical look at the personal income sources of people with disabilities who live in low income households in Canada. The main focus of the research is on the income sources of poor people with disabilities and how those look in comparison to the income sources of poor people without disabilities across age and gender.